I ventured out with my tripod for the first time today. It was a bit chilly to spend too much time without gloves but experimented a little with long shutter speeds. Here I used just 1/2 second and took several photos with Mr P walking up and down the jetty at Loch Shiel. It made the images look over exposed so I correct it on camera and then darkened the image afterwards with mild editing. I love that the landscape is in perfect focus and the figure blurred. 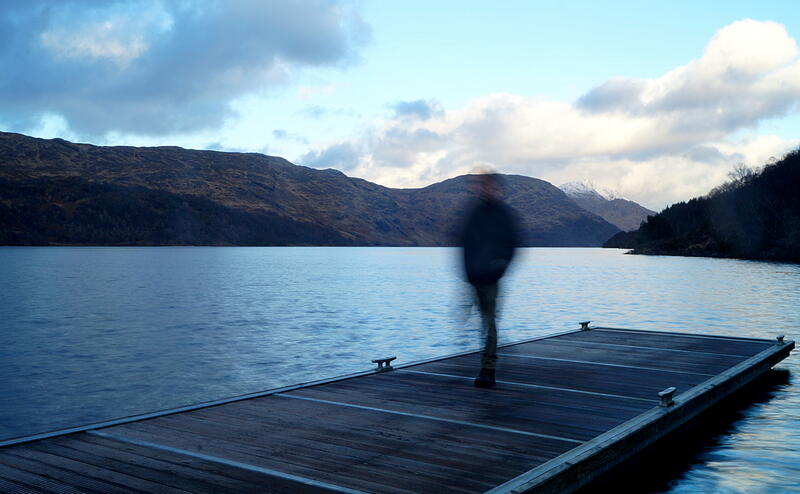 Posted in countryside, Loch, nature, people, photo editing, photography, Scotland, travel, water, winterTagged blurred figures, highlands and islands, loch, loch shiel, nature, people, photography, polloch, scotland, shutter speeds, views, water, winterBookmark the permalink.